After last week's total strike out on Black Diamond, I was a bit hesitant to go with Select this week. These blasters only have 2 packs in them... and my last Select blaster was absolutely terrible. But I'll just throw caution to the wind and give this particular blaster a try anyways - crossing my fingers!!! I believe that the packs inside Select are the same kinds that you would find in hobby boxes of Select. Since hits are not at the rate of every other pack, there is a good chance that the blaster will not contain a hit. And that's pretty risky because you get so few cards per blaster box of this brand. Even though hits aren't guaranteed, Select is a higher-end brand when it comes to the retail level. 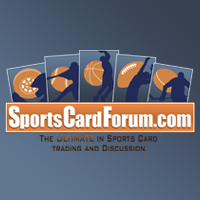 For people who aren't collectors, I'm sure that they would be surprised at the quality of card found here. If these blasters were like Certified and guaranteed a hit, that would make them much easier to put money down on. I'm glad that this blaster came out on the better end of things. I knew right away that there was a hit in one of the packs because of the size of the pack - it was noticeably larger - so that made me feel a bit better from the get-go. In terms of stars, I did get a few cards that I enjoyed, but mostly the cards were of second or third tier players that didn't catch too much of my interest. Because there were only two packs to open there really isn't much to do except go to the top three! I was debating whether or not to have this card in the top three. 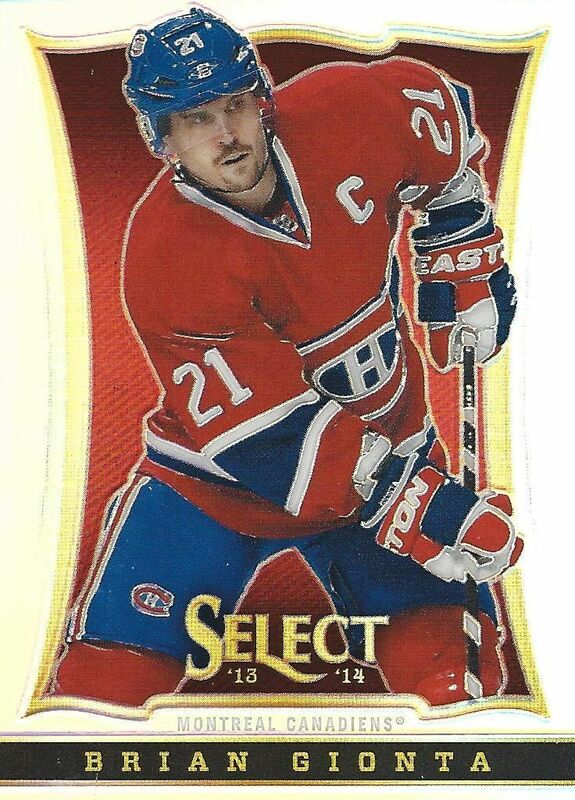 Brian Gionta is not a huge hobby name, but I do like the fact that this card is a Prizm parallel. The foil shine of the card looked good enough to warrant its inclusion here. 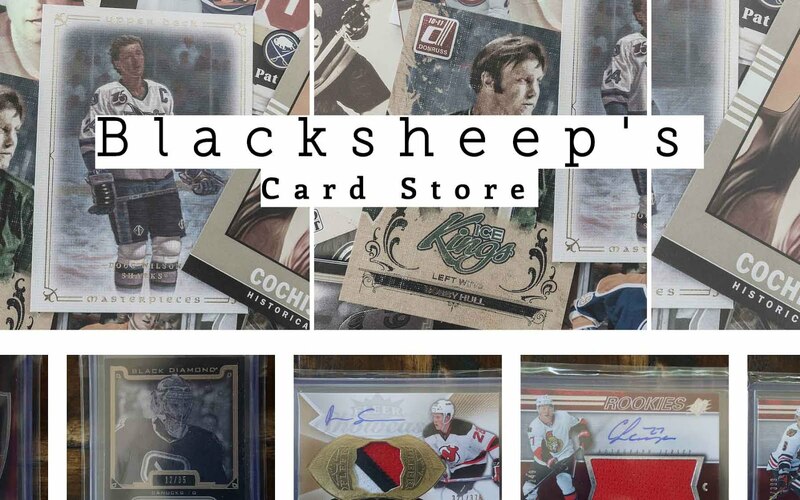 Mr. Hockey looks really good on this card. I just love how he's in full color and amongst the modern foil technology. 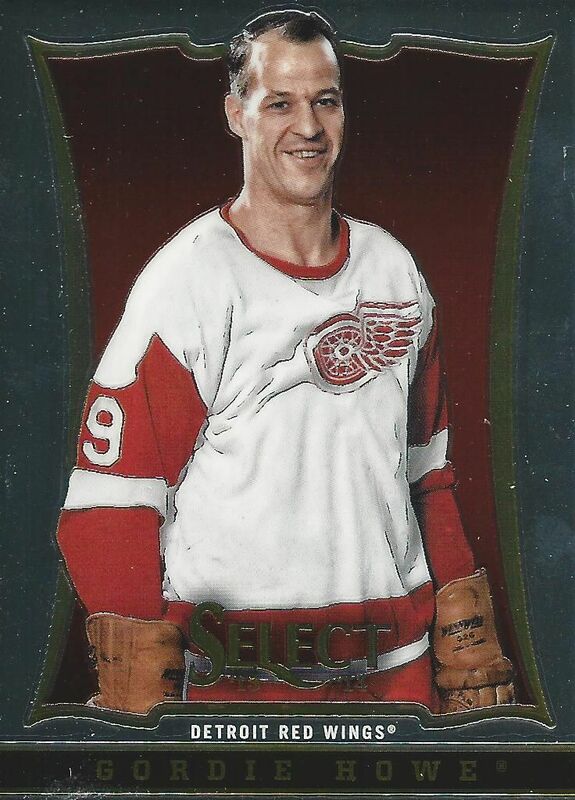 It's always nice to get a card of Gordie Howe - one of the greatest players in NHL history. 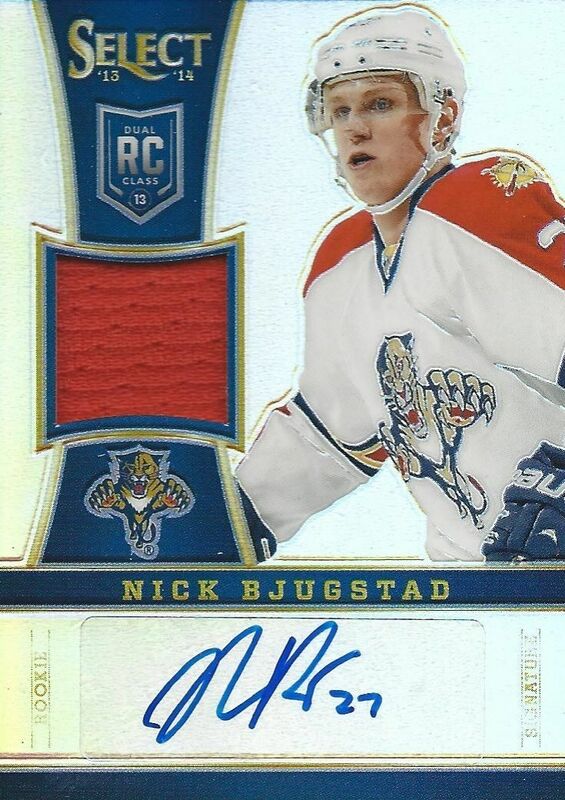 My hit was this auto/jersey/rc of Nick Bjugstad. Not only does this card have both cloth and ink, this card is also the Prizm variation limited to just 99. I am happy with this hit! For about twelve dollars I'm happy with what I got. 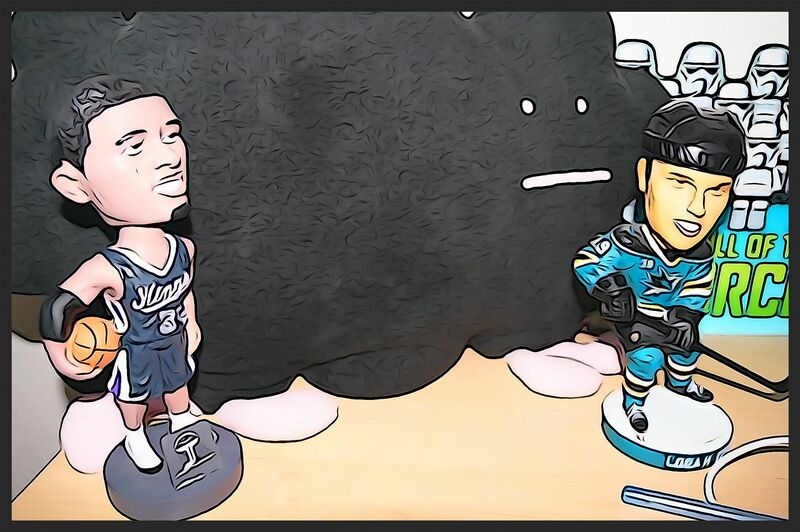 Sure, it's not the craziest hit ever, but it's something solid that I enjoyed finding in the box. 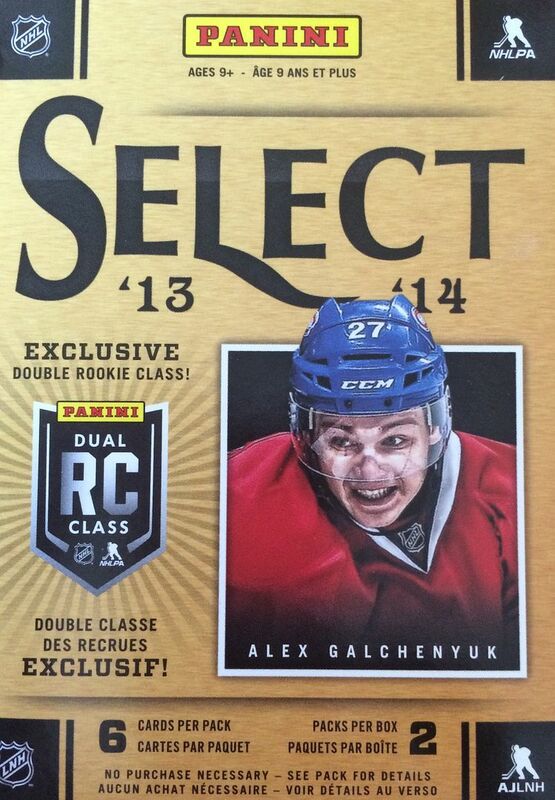 So with Select it has been a every-other-blaster-has-been-good kind of a deal. We'll see if the trend continues the next time Select crosses my path.